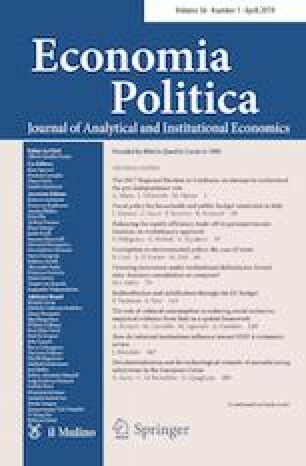 This paper tries to unveil the main factors behind the triumph of the pro-independence vote in the 2017 Regional Election in Catalonia. 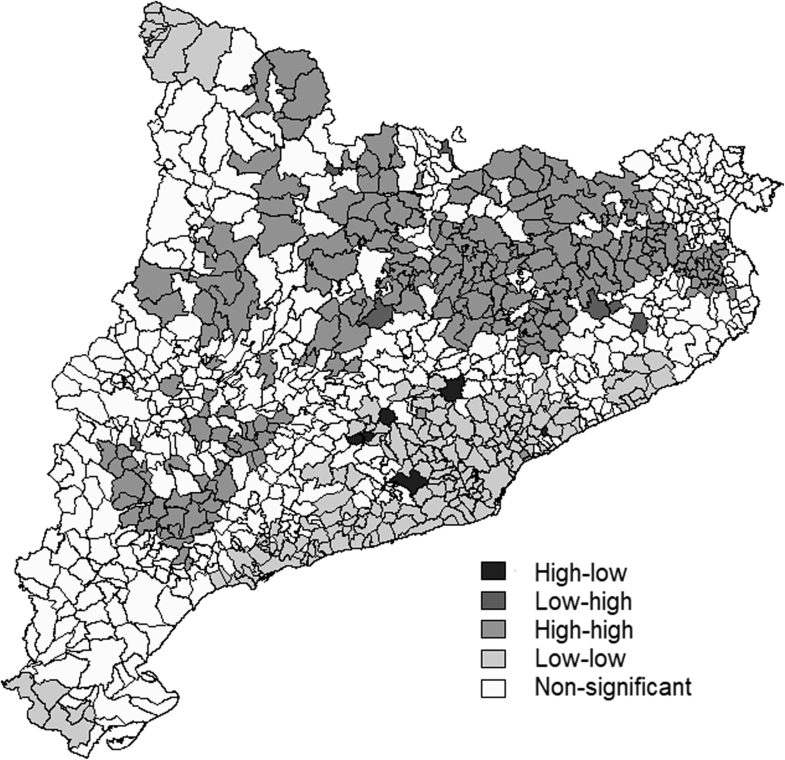 The empirical analysis, which is carried out at the county level and by using a spatial econometric model, reveals that geographical location matters. The estimation results also suggest that the pro-independence vote is mainly linked to the birthplace of individuals. More specifically, it shows that the independence feeling is weaker the higher the share of citizens born outside Catalonia. On the other side, young and highly educated people are more prone to independence. Additionally, it is shown that people working in the public sector are more likely to vote for a political party in favor of Catalonia remaining in Spain, while the opposite happens for those voters working in construction. Finally, the results seem to dispel some myths associated with the role played by the county’s size and level of income on the pro-independence vote. 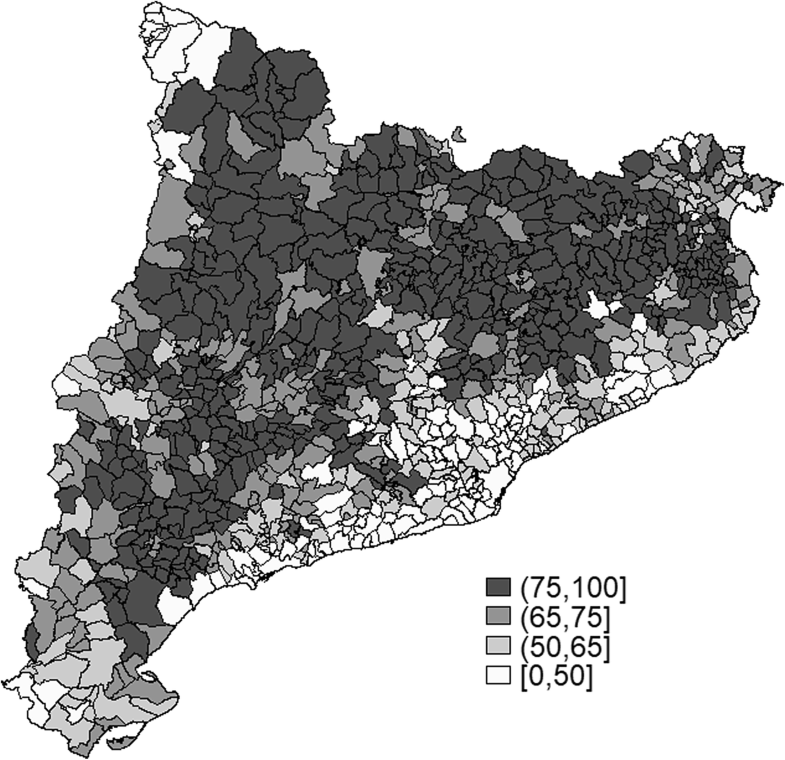 In this appendix, we show the main results obtained from the spatial analysis of pro-independence vote at the municipal level. Here we show the results obtained when the dependent variable is the share of votes obtained by CatComú-Podem. This is because we consider that the ambiguity of this party (they are in favor of the right of auto-determination in Catalonia and some of its leaders declared themselves as pro-independence) could be determinant in foreseeing the evolving situation in Catalonia. World Economic Forum (2018) The Global Risk Report 2018. World Economic Forum Insight Report. http://wef.ch/risks2018. Accessed 1 July 2018.